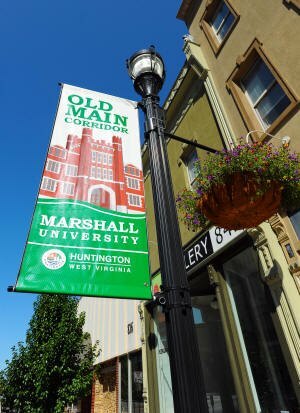 HUNTINGTON, W.Va.– Businesses and organizations can help connect Marshall University with downtown Huntington through the Old Main Corridor project by purchasing two-sided, full-color banners that will be installed prominently along 4th Avenue. Two designs are available – one featuring Old Main and the other featuring the Marshall logo. 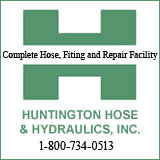 The logo of the business or organization will be placed on the banners as well.Two designs are available – one featuring Old Main and the other featuring the Marshall logo. The logo of the business or organization will be placed on the banners as well. Byron Clercx, chairman of Marshall’s department of art & design, said the banners were designed by Mary Grassell, an art and design professor at MU. “Nostalgic, timeless and contemporary, the compositional hierarchy in Grassell’s designs are elegantly positioned and easy to read, with prominent sponsor recognition areas on both sides of each banner,” Clercx said. The banners, which measure 2 feet by 5 feet, cost $750 for one, $1,200 for two or $2,000 for four. To order Old Main Corridor banners, call Rhonda Frye in Marshall UniversityCommunication at 304-696-3958, or e-mail her at Rhonda.frye@marshall.edu.